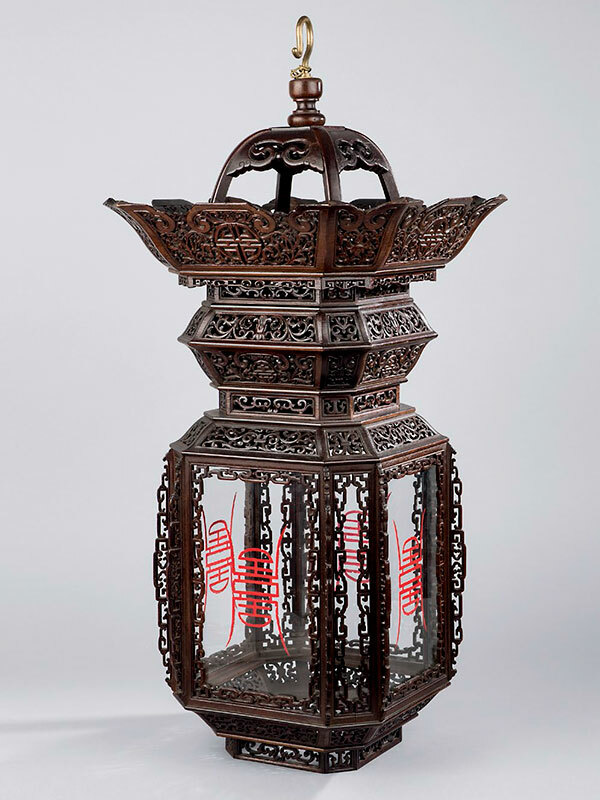 A carved hardwood lantern with a cube-shaped body and a waisted, crown-like top with flared flanges. The cube-shaped body has indented corners and is decorated with vertical notched ridges. Virtually all wooden parts are carved with delicate pierced work, with symmetrically arranged scrolls, ruyi head pattern, and wan characters. A brass hook is attached to the top of the finial, indicating that the lantern was intended to be suspended from high rafters. The transparent glass panels are modern replacements; each is painted with a longevity character in seal script.